I have cats. Cats who like balls. Cats who like to make balls out of anything that will roll. I wanted some of those beautiful Christmas balls that are wrapped in dictionary pages or music pages, and I wanted some covered in glitter. But I didn’t want to pay for the glass balls, and I didn’t want to wake up in the middle of the night and step on one that the cats had left for me. Then I found a really good solution. 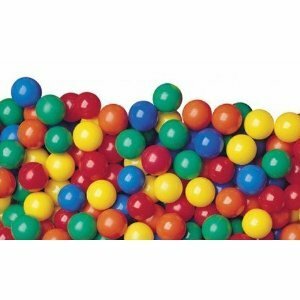 I got a package of these bouncy balls from Walmart. (These are not from Walmart because Walmart won’t let you save one of their pictures.) They were less than 20.00 for 100 balls. That made them cheaper than even the Christmas balls at the Dollar Tree. The glitter has come off of the ball in front because it’s the one the cats can reach, but it will be easy to fix. 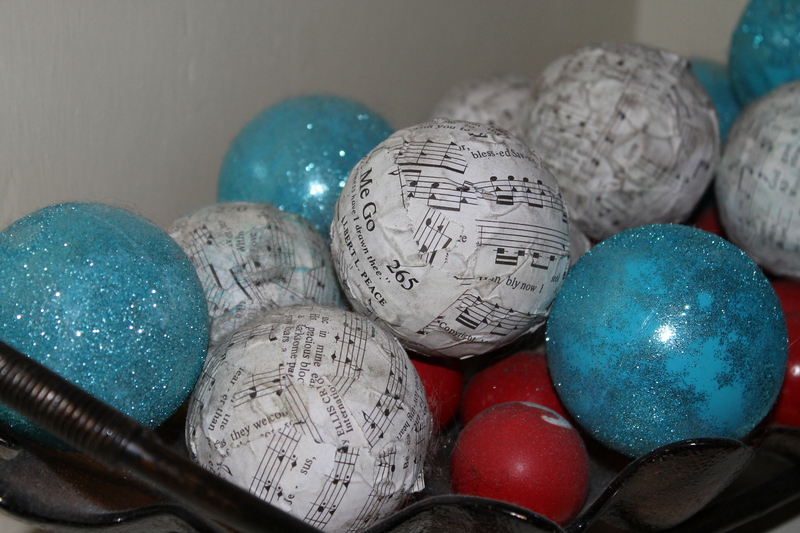 I just tore paper strips and used Mod Podge for the ones with music paper, and I used Mod Podge to glue glitter onto the glittered balls. The red balls are ping pong balls I put a sticker on then spray painted red and removed the sticker. I made those back when I first discovered blog land, so I really didn’t know about all of the cool stencils and pens people use. It’s a very inexpensive solution. I don’t have any hangers on mine, but I did make one with some fishing line that I glued under the paper to make it easy to hang. Thanks for stopping by, and if you make ornaments from these bouncy balls, please send me a link so I can check it out! This entry was posted in Christmas, Christmas crafts, glitter, Uncategorized and tagged balls, cats, Christmas craft, Christmas ornaments, Dollar Tree, glitter, inexpensive balls for crafts, Mod Podge, music paper, ping pong balls, Walmart by Shannon. Bookmark the permalink.